Saran Wrap Manicure Tutorial - Polish This! 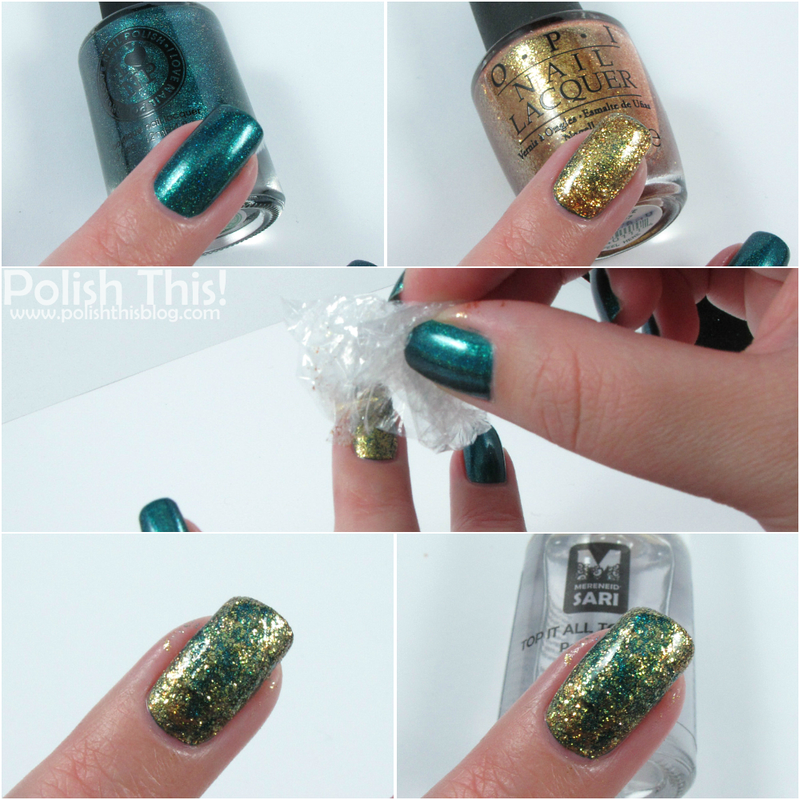 As promised, here's a quick tutorial for the saran wrap manicure! 1. Paint your nails with your base coat and your choice of base color. Let it dry completely. 2. When your base color is completely dry, paint your nails with the second color one nail at the time. You can use quite generous coat and it doesn't matter if it doesn't cover completely. 4. Some of the polish is supposed to stick to the plastic wrap and you are left with a nail where you can see some of your base color and some of your top color. 5. Remeber to add a coat of top coat to seal of your design and make everything smooth. Also of course clean up around your cuticles if you have made any mess. Then repeat the steps 2 to 5 on each nail and you're done! This is really easy technique to create some simple nail art and you can find everything you need for this in every household if you just have some polish and plastic wrap. And of course you also have unlimited choises of different color combos! This turned out great. I love the green and gold combo. I don't know why but I've tried this twice and mine turned out with large patches of color like spots on a dog instead of the mottled look yours has. I couldn't get my wrap to crinkle. So mine came out with blobs instead. Weird right? I didn't have saran wrap so I was using a plastic sandwich baggie. Maybe it's not flexible enough like the cling wrap is? I'm going to keep trying because I love this look so much.